When you hang our cute Baby's First Christmas Ornaments on your tree, you will always remember his first Christmas with your family. Each year, you can be reminded of his first holidays with you. Free personalization of any name and year is included. It measures 3.25" x 3.75"
It’s the perfect addition to my daughter’s collection. I ordered the baby girl ornament for their daughter two yrs ago!! It was so cute and the quality was just what I was expecting. Would recommend it to anyone. Give your baby boy a first Christmas gift he can look back on years later with fondness. Our baby boy ornament is the perfect addition to your tree to commemorate his very first holiday season with his family. It'll add even more holiday cheer to your tree. 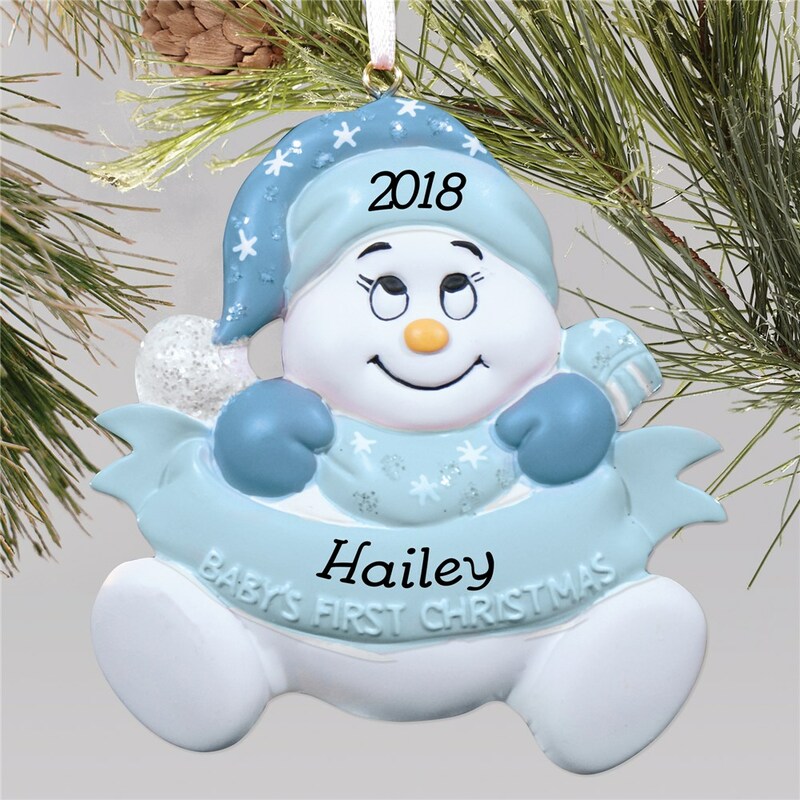 Interested in even more personalized Christmas ornaments for baby's holiday? GiftsForYouNow has you covered! Check out our great customized Christmas ornament designs.